The Saline County Sheriff's Office currently employees 13 full-time deputies assigned to the Road Division. This division includes deputies assigned as Patrol, Courthouse Security, Civil Process and Transport. Each deputy is Peace Officer Standards and Training Program (POST) certified and licensed through the State of Missouri. New deputies receive on the job training with senior deputies regarding Saline County Sheriff's Office Policies and Procedures, including call taking, report writing and duties required by this office. Each deputy is required by the State of Missouri to receive at least 24 hours of POST certified training per year. The Patrol or Road Division is under the direct supervision of the Chief Deputy. In addition to patrol, members of this division answer calls for service, conduct criminal investigations, provide courthouse security and serve as bailiffs for courtroom proceedings, serve civil process and transport those in custody to and from other jails or correction facilities as necessary. 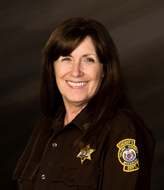 Road Deputies have many responsibilities, not only with this office, but also work very closely with Missouri State Highway Patrol, Missouri Conservation Agent and other local, state and federal agencies. Answering the call: Deputies are responsible for responding to emergency and non-emergency calls. Examples of emergency calls include burglaries in progress; domestics, both verbal and physical; any kind of call involving weapons; back up for other deputies or other agencies; alarm calls, etc. Examples of non-emergency calls would include keeping the peace, assisting other agencies such as Children's Division, Juvenile Office, and Probation and Parole, etc. Conducting Criminal Investigations: Deputies work together within the Saline County Sheriff's Office to solve open cases such as burglaries, thefts, etc. Missouri State Highway Patrol Troopers, Division of Drug and Crime Center, MIAC (Missouri Information Analysis Center) also give assistance when requested. LEADS Online is another useful resource used in locating stolen/lost items sold to pawn shops, etc. This Agency also relies on tips and information provided by Citizens. Courthouse Security: Deputies provide security at the Saline County Courthouse, this includes requesting individuals walking through metal detectors before entering the Courthouse for the safety of staff and also citizens present. Bailiff Duty: Deputies serve as bailiffs in the circuit, associate circuit and probate courts. Civil Process: Although all deputies are trained to serve civil process, our agency has one deputy assigned specifically to that task. Civil process includes court summons for both civil and criminal courts, subpoenas, and orders of protection. Transport: One deputy is specifically assigned to this unit to move people in custody between jails and corrections facilities as required by court order or state law.